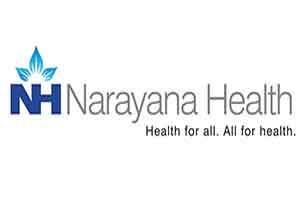 Efficient management of hospital administration can be quicker and efficient, as reiterated by the recent commitment in partnership of Narayana Hospital with Bangalore based Convergys solution provider, ICT Health. The cloud based system for the Health Information Management System (HINAI) will enable the hospital to continue delivering patient administration, electronic health record, clinical support services including pharmacy, diagnostics, imaging services and revenue cycle management to more than 100 health care providers in India, Middle East and Africa. “As of date, 38 of our hospitals are using the ICT Health Hospital Information system and 19 outpatient clinics are using the ICT Health system. The extension of the contract is a reaffirmation of the enabling benefits of ICT’s Health HINAI system and managed services,” said Narayana Health group CEO Ashutosh Raghuvanshi in a press release issued. Narayana Health is headquartered in Bengaluru and offers a spectrum of primary healthcare services through its vast infrastructure of 6,498 beds, distributed across 20 locations in 32 hospitals. As a direct effect of deploying Cloud technology, the efficiency and quality of internal medical system improves dramatically. As a result, it leads to reduction in cost of medical treatments and tests, the release added. In this joint endeavour, Narayana Hospital aims to provide faster, cheaper and effective health facilities to its customers globally.